It was an exhilarating, albeit nerve-wracking, experience. Spotted hyenas are exceptionally dangerous creatures, with jaws that are more powerful than those of a lion. 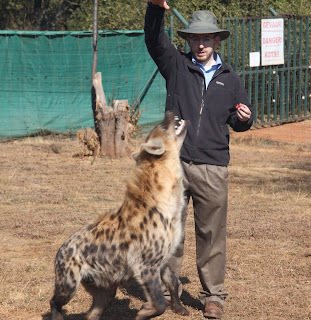 Even though this one was trained, there's not really any such thing as a tame hyena. I had a handful of pieces of meat that I was supposed to feed to it. But I was warned to throw the pieces to it, and not to let it eat from my hand - with one bite, it would neatly amputate my entire hand. So here I was, throwing pieces of meat up into the air as it leaped around me, and it suddenly dawned on me that I was swiftly running out of pieces of meat. Moments later, there was no meat left, and my hands were covered with traces of smelly raw meat. The hyena looked at my hands hungrily, which is the moment at which the pictures below were taken. 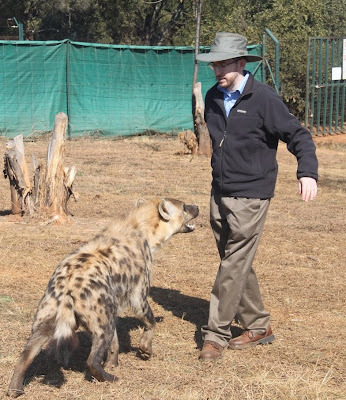 I was anticipating being imminently not very handy, but fortunately the handler, who realized what was happening, immediately lured the hyena away. Phew! Anyway, during the hyena encounter, I really understood how a certain belief about hyenas, recorded in the Jerusalem Talmud, arose. The Gemara states that the male hyena turns into a female. This belief is not unique to the Sages; it's found in many cultures. 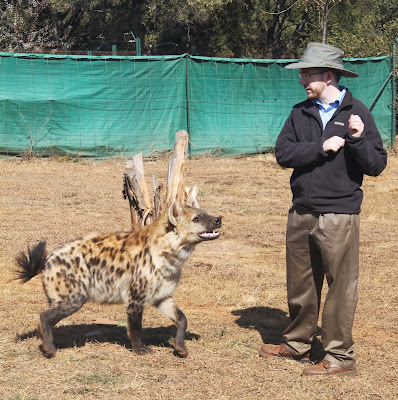 Looking at this hyena, I saw why people would think this. Female hyenas are the most masculinized mammals in the world. They are larger, stronger, and more aggressive than males - and even their reproductive organs look like those of a male, as I could plainly see. Anyone looking at this hyena would assume that it was a male animal - and upon seeing it give birth, would assume that it had changed gender. There's all sorts of strange beliefs about hyenas, and it's not surprising - they really are freakish creatures. Still, I've come up with some really inspirational insights about the hyena in Jewish thought, which you can read about in my forthcoming encyclopedia, and watch on the forthcoming movie! 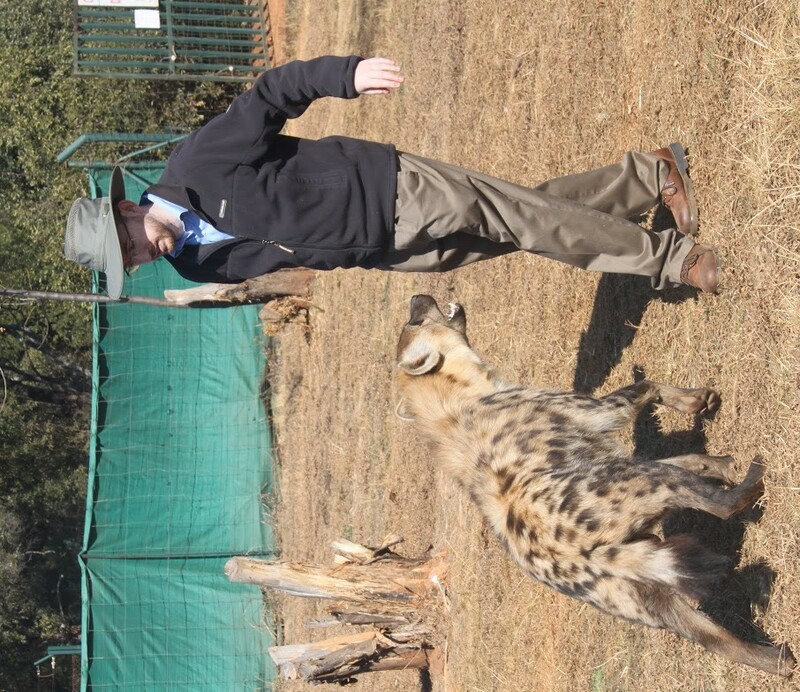 Happy to hear that this hyena adventure passed peacefully. Was there neglect on anyone's part here? "We were like dreamers." -- Let's see how fast it takes to catch the pun. "Anyway, during the hyena encounter, I really understood how a certain belief about hyenas, recorded in the Jerusalem Talmud, arose. The Gemara states that...."
Mark this well, friends and challengers alike; such is what makes us rationalists superior to all others. 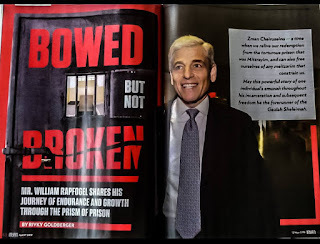 For only we can think of Gemara whilst a blood-maddened, ugly monster of a beast with teeth that can chew through an engine block is attempting to amputate us. "A Close Shave," eh? It's clear then why you posted this after 9 B'Av. I'm glad you still have your hands! 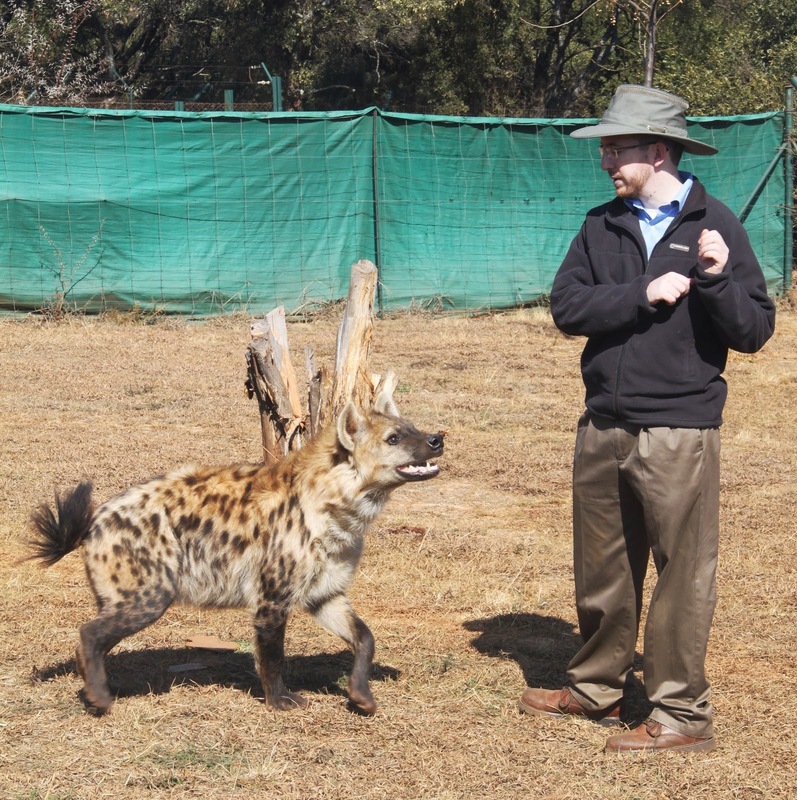 I've watched a lot of nature documentaries on hyenas, but seeing you interact with one shows how ferocious they are. They compete with lions! Anyway, it's fantastic that you are doing this safari. It's quite a different image from the one of a rabbi studying indoors all day. PMEM, was that really necessary? Heck, why not mention radical blacks or Muslims or Vietnamese? Your wife is a very patient understanding woman, isn't she? ...below the dignity of this blog. Thanks for speaking up, Gratu. Regarding the meat, the trainer must've known you were going to run out at *some* point, no? And fascinating point about the apparent gender change! Hyenas are nasty customers. Strong, aggressive, highly social, and absolutely testosterone-poisoned. RNS, where is this Yerushlami? In my office sans sefarim, all I can do is Google, and I can't find it. The Bavli in Bavak Kama (16a) speaks about male hyenas in contradistinction with female hyenas, so it appears to recognize them as separate. [It refers to the "tzavuah", I doubt chazal recognized different species of hyenas.] It does say the male turns into a bat, and eventually into a snake. But nothing about the female becoming the male or vice versa. Thank you. It is fascinating. Clearly this is the same tradition (as the ending about Modim makes clear) and yet there are major differences between them. Yerushalmi: דמר ר' יוסה בר ר' בון בשם רב זביד אחת לשבע שנים הקב"ה מחלף את עולמו. קמקמה מיתעביד חו רב. פדה חד אפר מיתעביד שר מומיתא דרישא מתעביד עקרב. ודמניא שממי. תולעתא דסוסיא מתעבדא אירעו. ודתורתא דברי. צבוע הזכר נעשה נקבה. עכברא דטורא מתעביד חזיר בר. שיזרתא דנינא מתעביד נדל. ודבר נשא חיוי. אימתי בזמן שאינו כורע כל קומתו עד השזרה. Have you ever seen a striped hyena? I believe there is still a small wild population in Israel? I absolutely adore hyenas. They are just one more powerful animal that God has created to show us the diversity and immense respect that should be shown to His Kingdom. I am happy to hear that they were made a part of the documentary.